I have a feeling that most playwrights would agree with Mr. Chafe. This led me to wonder whether this might be even a more common response, applicable to all professions including medicine. If so, then what is the difference in the longer term significance between praise and criticism? Could it be that praise is generally given more as just “words” or (perhaps my cynical appraisal) a method for secondary gain by the ones who deliver the praise? But criticism, on the other hand, may contain many fragments of truth and meaning which for the benefit of the receiver and others should be considered and retained. Could it be that praise is generally less constructive than criticism in promoting professional improvement? I wonder what my blog visitors think about how physicians should manage, if they could, the discard vs retention as applied to praise vs criticism issue. Unfortunately, criticism is rarely directly delivered by the physician’s patients or even from the physician’s own colleagues and, from my own experience; the criticism is mostly delivered by one’s self. That self-criticism is, fortunately or unfortunately, rarely easily discarded. ..Maurice. 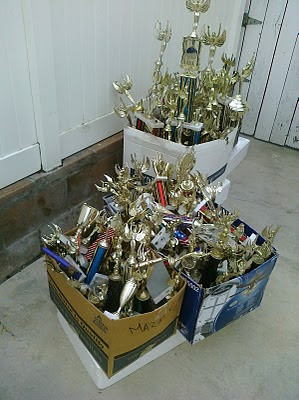 Graphic: Discarded awards, photographed by me 6-8-2010 in a neighborhood yard. It's that way in other fields too. I get the feeling that a lot of people discard the criticism as part of their "othering" (not just medicine, business, teaching). Criticism always has to be taken with a grain of salt--we can't please everyone and not all personalities and styles will mesh together/be a good fit, no matter how good and responsible both parties are. I actually do think it's very important to internalize and remember praise--it tells us what we are doing right. At the lowest times of my life (when I basically felt like nothing to anyone), a friend talked about how I had given her information/support that made her VBAC a wonderful experience, that she couldn't have done so without me. I was shocked. Typically I tend to think badly of myself. I don't know that it's good to internalize criticism the same way rather than use it as a tool. We're all human, and while we make mistakes, trying to change them and teach others not to make the same mistakes, trying to continue changing things to make the world better for everyone--that can have an effect that resonates and ripples through to many people. FriedaWrites, I thought that criticism is more valuable for advancement and doing better in whatever one does than just praise and it would be the latter that would be discarded. But you apparently feel otherwise. What if the praise you get from others just keeps you doing the same thing and not attempting to do better. To me, praise is saying essentially "I like what your doing" but doesn't necessarily set sights on doing something on a higher level, whereas criticism,if constructive, should do that. Or even if criticism is non-constructive and even unwarrented, perhaps it will stimulate the person to whom the criticism is directed to introspection and reevaluation of what he or she is doing. What do you think? ..Maurice. Reading your post is timely for me as I'm going to start my first gig as a Ward Attending to med students and residents next month. I am hoping to come across as knowledgable without being condescending, but more importantly willing to hear what they have to say and helping them reflect on their clinical thought process with as few words--critical or otherwise--as possible. I guess at some level what I'm calling the right kind of "criticism" would simply be called "feedback" by most others. And in the case of someone with a fragile sense of confidence, of course, I suspect that praise is going to be a much more constructive path to getting the most out of them than criticism. The more specific the praise the useful though. I still remember a fellow student come up to me after a lecture during my second year of med school. It was one of those "meet the patient" lectures and the woman talking that day was a lady who had been in a car accident and talked about living with paraplegia. Afterwards I wanted to ask her a question, and as I was returning to my seat this classmate who I barely knew came up to me and said, "you know, that was really great what you just did." "What did I do?" I said. I was totally bewildered. "You were crouching when you spoke to her," referring to the baseball-catcher's stance I took. "You were at eye-level with her, so your body language wasn't condescending." I have never forgotten that particular bit of praise, even if I'm not sure I earned it; I certainly didn't consciously get into that stance. But I saw the wisdom in it and, to this day, always make sure that I am eye-level with a patient when talking to them. Billy, I would suggest that praise to be meaningful and constructive requires that the rationale for the praise be explained to the receiver. To offer praise without such an explanation is of very little value. Just to know that someone likes you is insufficient. The receiver also needs to know why. Your classmate provided you with the explanation. That also means that the deliverer of the praise must understand a reason for the praise. The reason should be for the benefit of the receiver and not simply for the self interest of the deliverer. 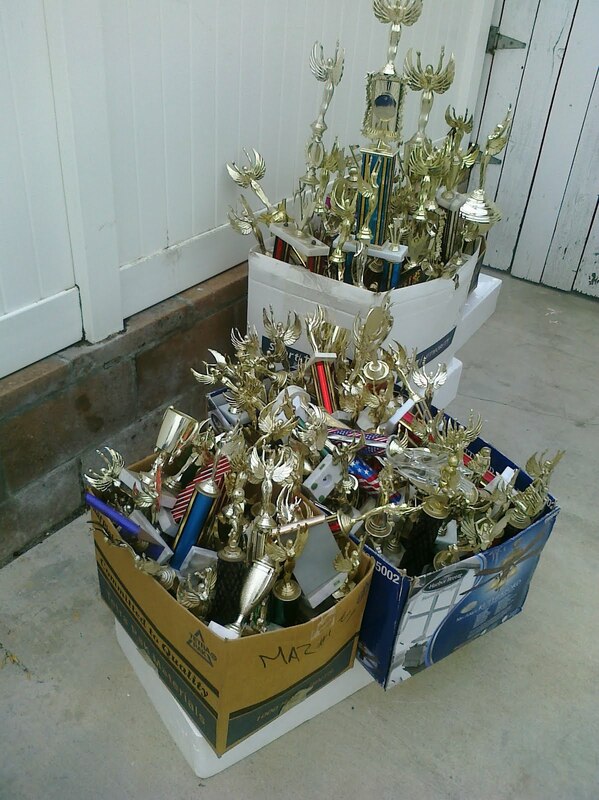 I think that praise for an act or behavior generally encourages the receiver to continue what has been praised. Criticism on the other hand, if also explained to the receiver, can raise action or behavior to a higher level. Even if not fully explained, the receiver may be motivated to self-inspection and improvement. Teaching the uninitiated or those as yet poorly initiated, such as medical students, requires, through observation of the student, both the systematic use of constructive praise and criticism. Together, the student will benefit. My best wishes to you for your upcoming teaching experience. ..Maurice. "To me, praise is saying essentially "I like what your doing" but doesn't necessarily set sights on doing something on a higher level, whereas criticism,if constructive, should do that. Or even if criticism is non-constructive and even unwarrented, perhaps it will stimulate the person to whom the criticism is directed to introspection and reevaluation of what he or she is doing." I think I take more of a middle ground--I guess it's kind of complex and multi-dimensional. I do internalize criticism more than praise, or at least have a tendency to do so. I am a firm believer in constructive criticism, and when I receive non-constructive criticism, I want to help whomever I've hurt, even if it's been inadvertent. Definitely people should keep pushing themselves and not stagnate. Complacency isn't a good thing. At the same time, just because someone offers criticism doesn't necessarily mean that it's right (or wrong)--but it is an opportunity to question and improve on what we can. Sensitive people and empathic people can break very fast under criticism that's too harsh, or criticism can create depression or guilt that stops them from doing the good that they're doing. Guilt has to be used as a tool to move forward rather than indulged in, even if it's painful to do so or we don't feel worthy of moving ahead. It just occurred to me as I was writing this that I'd feel terrible if my doctors read a few mild criticism I've made on my blog--because in the scheme of things they are minor or I'd not see them/would change to someone else. Sometimes we lack perspective/the whole picture when someone criticizes--people are more apt to complain than to praise. On the other hand, as a wheelchair user who must frequently make odd requests or point out that something's not accessible, I see a lot of human tendency toward defensiveness or anger when someone brings up a concern rather than a stretching toward empathy. As someone who used to soothe angry or upset members of the public and worked to meet their needs, I just don't get that and am often surprised when someone will work with me. I'd prefer to be self-analytical than complacent, but that is difficult, it makes me less happy (but happiness is not as important to me), and I don't think society encourages that tendency. And as a former teacher, I agree with what's said here about teaching. I find it helpful to give praise and constructive criticism together--one of my students told me it helps--make it like a sandwich--praise on each side of the detailed feedback. Even if you have to fail a student, they will be holding very dearly to the words of praise that you said--it is often what keeps them going and from being demoralized. Something positive can always be said. There is definitely a balance required between praise and criticism. Too much praise makes one overconfident, while too much criticism will make one feel unappreciated. I think it makes a world of difference who the praise, or criticism, is coming from. I often get cards from owners of animals I have treated, and from them I get reassurance that I shouldn't quit my job just yet :-) But their sentiments, uplifting as they might be, are very subjective impressions often based on their emotional state at the time. Praise from peers - the kind of praise that I find instructive and constructive - comes in the form of criticism. A better word would be critique. Since I'm my own worst critic, anyone else is gentle by comparison - and much more objective too.